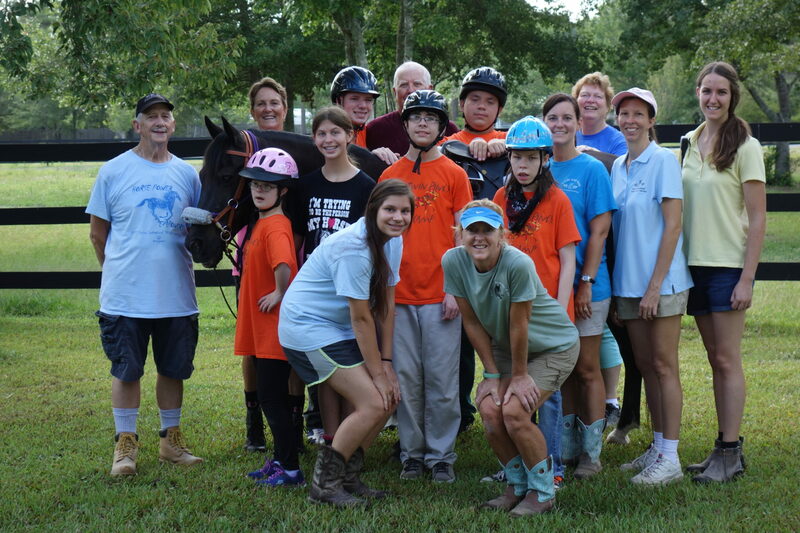 Faith Equestrian offers two primary programs, the Therapeutic Riding program and the EFL Program. We also take riders to the Special Olympics Georgia in Gainsville every year. In the summer, we offer typical camps and camps for individuals with special needs, which helps us to support our regular program. Scroll down to learn more about what we do! 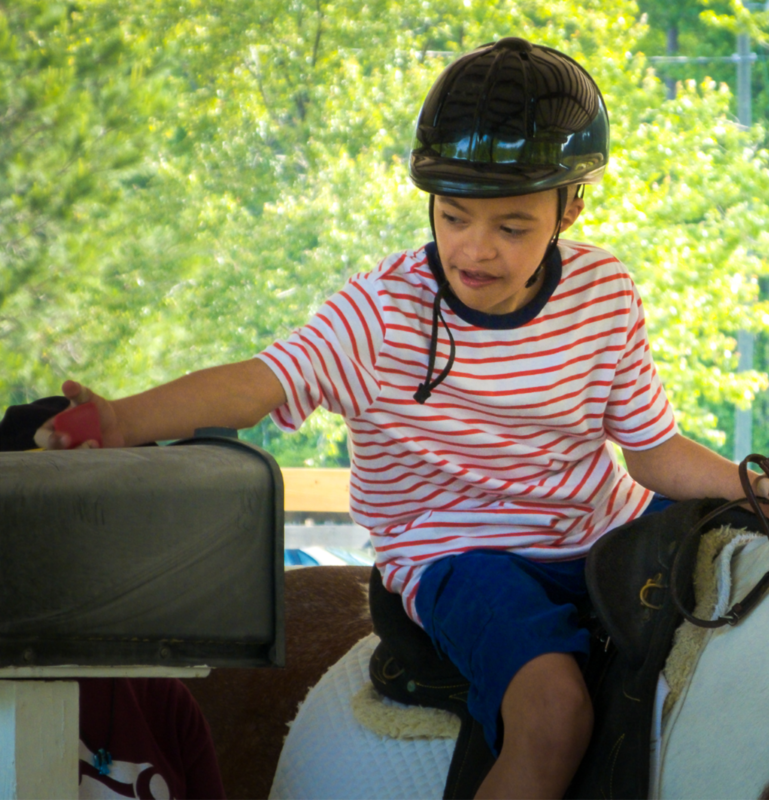 Our therapeutic riding program operates in the evenings and on Saturday mornings. These programs focus on achieving goals that are specific to each rider and help riders to develop social skills, confidence and riding skills. Step 2: Fill out our Rider forms and have the medical form filled out by your physician. Step 3: Your rider will then attend a rider evaluation, which will allow us to find a good spot for your rider. We may have to place your rider on a waiting list depending on our availability and schedule. Any questions? Fill out the interest form below or give us a call! Our Equine-Facilitated Learning (EFL) Program serves six schools in Effingham County. In each case, a teacher comes out with her class of riders and we have an eight week curriculum which the students go through. Students enjoy educational activities inside our classroom with a retired school teacher and board member, while groups of students ride under our covered arena. Students are assessed at the first and the final weeks of their sessions and we have seen significant growth in vocabulary, posture and core strength in these riders. Most of the riders we serve are unable to participate in traditional sports and this is something that each one of them can excel in regardless of their ability level. At Faith Equestrian, we believe that competition helps our riders to grow in maturity, teaches them valuable skills about good sportsmanship and confidence in their abilities and most importantly is a lot of fun! 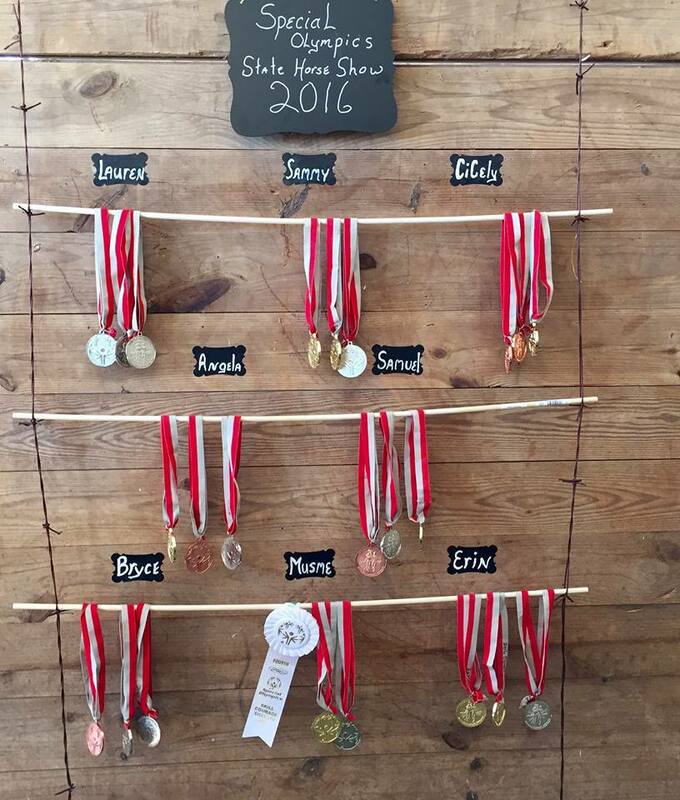 We have the opportunity to take a handful of our riders to two horse shows a year. In the past, we have hosted the Spring Invitational in May, which is a local show and is attended by a larger group of our riders. In October, we take a smaller group of riders to the Special Olympics in Gainsville where they compete against other riders around the state for medals. This is a once in a lifetime opportunity for the riders that attend with us and their families that comes at no charge to them! The typical child gets many chances to attend various competitions, but for our riders, this is a very special opportunity that gives them a chance to excel and progress in something that they love! 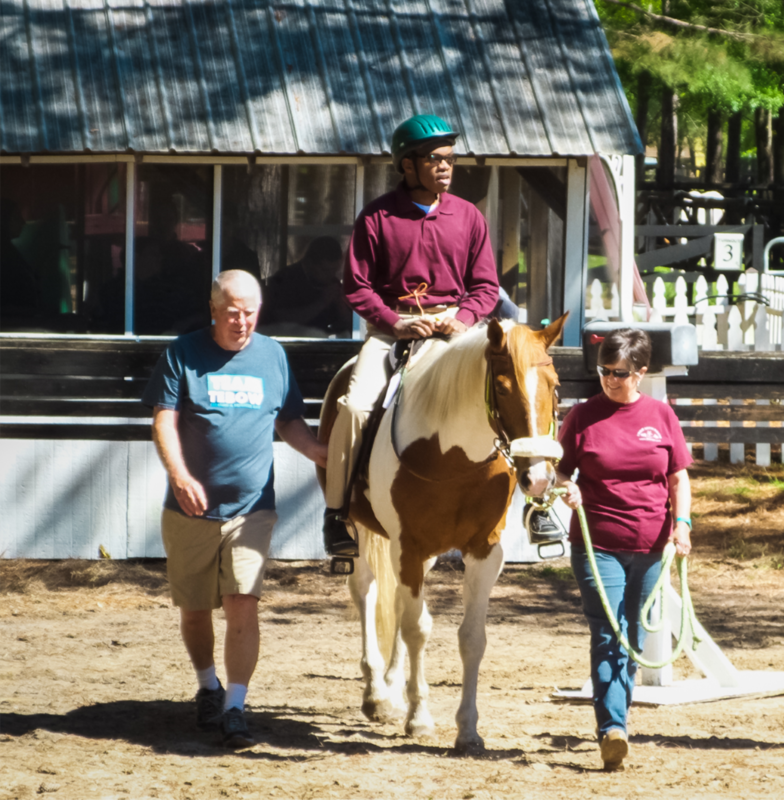 Faith Equestrian Therapeutic Center is now offering field trips to your group which will involve a fun half-day at our center with lots of animal interactions, grooming experience and some crafts! If you are interested in scheduling a field trip, please click the link below for our interest form. We will get back with you to schedule a time for you to come out! © 2019 Faith Equestrian Therapeutic Center.